Thirty years ago, the EU’s focus was on reducing over-production in agriculture. Today, it is more about developing processes and products that reduce the environmental impact and make our societies more sustainable. The EU Commission is therefore investing research funding into the bioeconomy through Horizon 2020. The bioeconomy includes agriculture, forestry, food, biochemistry, marine and lake environments. BLOOM is a three-year project involving 12 partners, including VA (Public & Science). 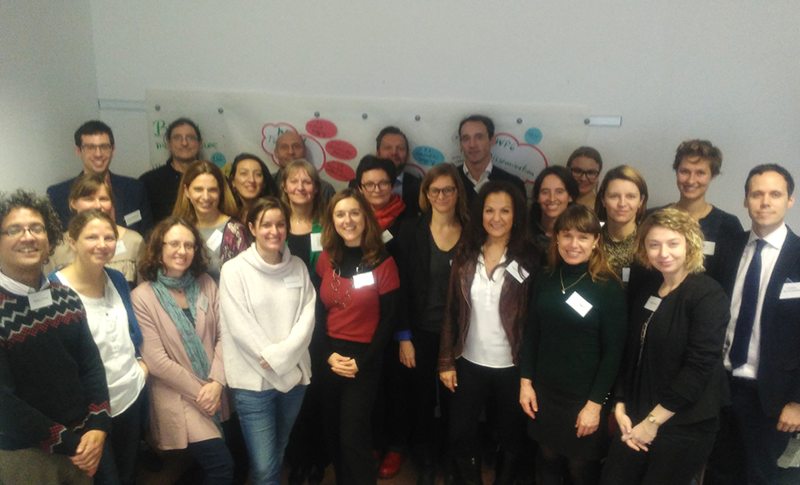 The project is coordinated by the Centre for Social Innovation in Austria and officially began at a kick-off meeting held in Vienna in December 2017. The aim of the project is to increase interest and knowledge about the bioeconomy in society as well as how we can be more environmentally friendly, reduce our use of fossil fuels and reduce waste through the use of innovative bio-based raw materials. Project partners in Austria, Belgium, Finland, Germany, the Netherlands, Poland, Spain and Sweden will create five hubs (communities of practice) that will engage a range of stakeholders from civil society, innovation networks, local research centres, industry, teachers and research institutes. VA is working together with JAMK, the University of Applied Sciences, in Jyväskylä in Finland, and in dialogue with stakeholders, to develop a regional hub for Finland/Sweden that will have a focus on the forestry and paper sector. For further information, please contact Maria Hagardt, Project Manager at VA.